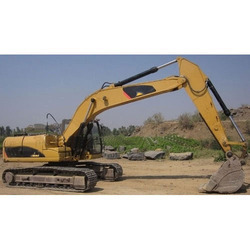 Our organization has been engaged in providing Earthmoving Excavator to our clients. These excavators are used to dig in large quantity. Their advance technology enables consumers to dig earth at a fast pace with less physical effort. We are offering Komatsu PC 03 Excavator to our clients. We have immense number of earthmoving equipments and a team of qualified and experienced technical and non technical crew who are ready to cop-up with the requirement of time.